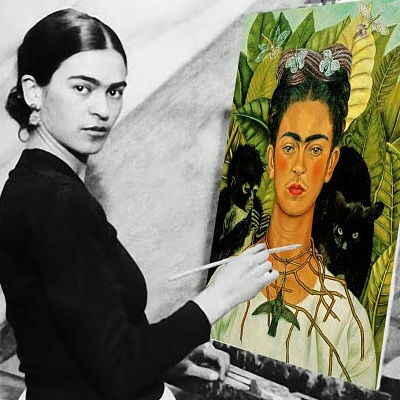 Frida Kahlo painted a series of self-portraits as a depiction of the years of treatment (including orthopedic appliances) she had to endure after a devastating spinal cord injury as a teenager. 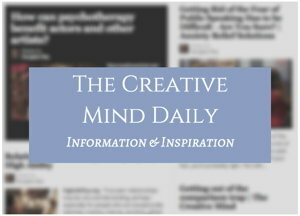 See more in article: Pain and suffering and developing creativity. “Creativity involves process, and process involves change. The truism we often hear is that we often resist change because change is difficult or change is painful. In this video – “Acquiring a Creative Mind” – Maisel expands on the idea of questioning if we “have no talent” – a kind of existential dread that can be deeply stressful for some high ability people, including artists. Creativity for Life – which is the textbook for his online course Your Best Life in the Arts. She is author of The Artist’s Way: A Spiritual Path to Higher Creativity. Her later book is Walking in this World: The Practical Art of Creativity. Her quotes are from the site for Julia Cameron Live – an online course and artists’ community based on The Artist’s Way and led by Julia.